Here it is, our 2nd Competition! It’s been another great month for us here at Whisky Corner, with visits to Douglas Laing and Daftmill concluded and interviews with some heavy hitters of the whisky world in the pipeline. To say Thank You to all our followers on Twitter (@WhiskyCorner), our friends on Facebook (www.facebook.co.uk/whiskycorner.co.uk) and all our visitors to this blog (www.whiskycorner.co.uk), we are giving away a special prize! 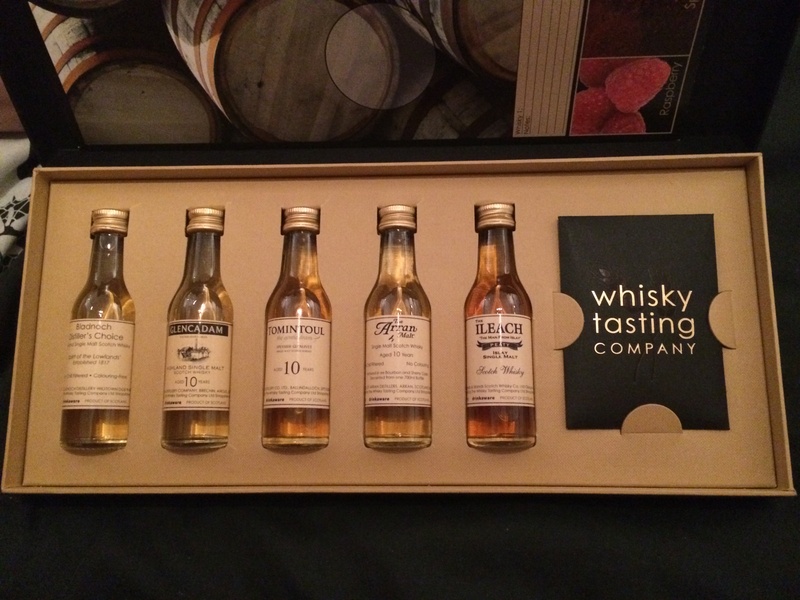 The prize is a Whisky Tasting Company (@WhiskyTastingCo) Gift Set, comprising of 5 miniatures, tasting notes and a lovely tasting mat to write your own notes on. To win this fabulous prize all you have to do is answer the following 3 questions correctly, and send us an email to whisky.corner@yahoo.co.uk and make sure you are either following us on Twitter or Facebook. All the answers can be found on our website somewhere, so happy hunting and good luck! 1: What article did Kirsty say that she supports Watford FC? Good Luck again, this competition closes at 9pm Sunday 23rd February 2014, the winner will be picked at random from all the correct entries by a small child. You must be of legal drinking age in your country in order to participate in this competition.